For weeks, the story surrounding Lee Hirsch’s documentary Bully has been about not the movie itself, but about one little letter—the letter “R.” The MPAA initially gave the film an R rating for language, which inspired cries of outrage from the filmmakers, Harvey Weinstein (the film’s distributor and master hubbub-creator) and various allies. It was crucial that this film be accessible to teenagers, they insisted, presumably because it was meant for that audience to see. That much is evident from the opening minutes, when the first voice we hear is that of David Long, father of Tyler Long, who committed suicide at the age of 17 after years as the target of chronic bullying. We see happy, giggling home-movie footage of young Tyler, leading into David’s narration about the change in Tyler’s personality over the years. It’s a heartbreaking moment, yet it also conveys a lot about where Bully is aiming: not so much at the everyday experience of American teens, but at the fears of every parent that there but for the grace of God go they. Hirsch (Amandla! A Revolution in Four-Part Harmony) wants to grab adults by the throat and heartstrings and scare the crap out of them, and mission accomplished. Certainly the Long family isn’t the only subject of Bully, and Hirsch does indeed shine a light on the experience of a few specific teens. 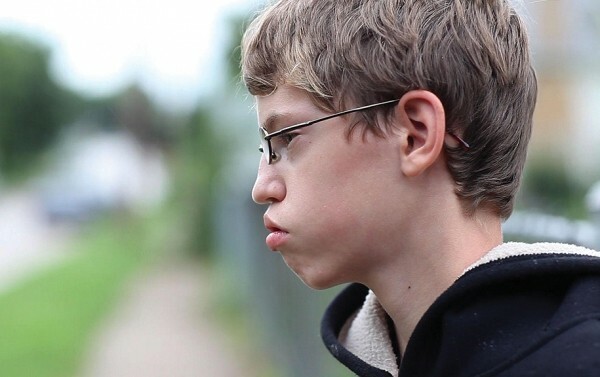 Most prominently featured is Alex Libby, a 13-year-old Sioux City, Iowa, boy whose shy personality and unconventional looks have made him a target of classmates’ physical and verbal abuse. We see in disturbing detail the hazing he gets on the school bus: random punches in the arm, mock (and not so much) chokings, being shunned and shoved from seat to seat. There’s cruelty on display, in addition to stupidity—both the children who ignored a camera to get caught acting like animals, and presumably the parents who signed legal waivers allowing their little monsters to be shown to the world—and it can’t help but provoke a gut-level response. But Bully unfolds almost entirely at the level of gut-level response, never diving into the truly thorny issues involved. While one seemingly hapless assistant principal at Alex’s school becomes something of a stand-in for oblivious administrators of all kinds, there’s never a serious attempt to get a handle on why schools so often fail to protect students. Hirsch similarly isn’t interested in exploring why a phenomenon that is hardly brand-new—Lord of the Flies told a generation 50 years ago something everyone already knew at a gut level about the cruelty of children—has become so much more psychologically damaging. Every time he approaches an area that’s unsettling beyond the basic premise—like the insinuation by Alex’s father that the boy’s passivity is part of the problem, or Alex’s chilling, Columbine-evoking comment that getting hurt makes him want to hurt people back—Hirsch retreats to safer, more conventionally heart-rending ground. It’s also frustrating watching the time that could have been spent on deeper investigation instead devoted to a plethora of undeveloped subplots. So we hear Kelby Johnson, a 16-year-old out lesbian in Oklahoma, describe the ostracism she faces at school and in the community, but never see it in action. Similarly, the underlying causes that drove 14-year-old Ja’Maya Jackson to brandish a gun at classmates on a bus are so superficially addressed that it’s hard to know how threatened she actually felt; a law-enforcement official who describes Ja’Maya’s actions as completely inexcusable is presented as somehow insensitive when, for all we know, he’s right. As difficult as it may be to get to the truth of what bullied kids actually face in school—which only the money shots of Alex under siege really show us—that’s the story. Instead, Bully offers a call to action built on the undeniably wrenching image of parents at the funeral of an 11-year-old who killed himself, and the inspiring scenes of parents turning their grief into action. Of course there’s value in a film that forces adults—who are certainly a big part of the problem—to think differently. As fiercely as the people behind this movie fought to make sure that teenagers could see it, though, you’d think that Bully might actually have made more of an attempt to talk to them.